Questions? : Did I Get It? I am stealing that question. 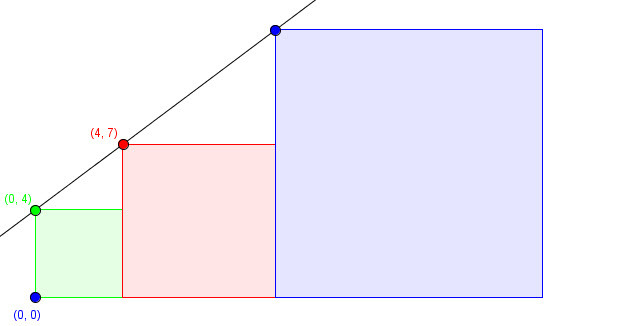 I don't think I will give the (0,4) coordinate and simply ask what they can tell me about the three squares. Awesome question! Interesting comment above. I think the "openness" of the question would depend on the ability of the students. Personally, I would give this question to a year 9 or year 10 group and would keep it the way it is. The co-ordinates possibly act as a clue as to how a student might go about solving this. Depending on the ability, I would think about taking the co-ordinates out.